Omega-3 Rich Savi Seeds - How Do They Compare To Chia, Hemp and Flaxseeds? 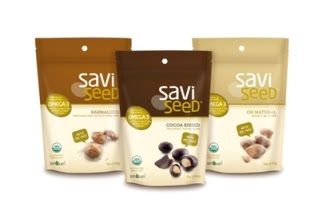 Savi Seeds - Are they the next power seed? Known as the "Inca Peanut", these seeds have been grown and consumed in Peru for centuries. They come from the star shaped pods of "sacha inchi" plants. They are incredibly rich in ALA omega 3 fatty acid and with all the buzz about this critical nutrient, it's not a surprise to see savi seeds hit our shore. I've noticed these in Whole Foods for a while now but today I decided to buy some and report back to you. Are Savi the Next Power Seeds? I'm a sucker for omega 3 so I had to see how they would measure up to my favorite Power Seeds: Chia, Hemp and Flaxseeds. * As advertised, Savi seeds contain the most ALA omega 3 fatty acids of all the seeds providing 7 grams per ounce. Whole flaxseeds comes in a close second with 6.4 grams. * I would give them the highest marks for "ease of eating". They are similar to roasted nuts so you can easily sit and munch on them without soaking, grinding, or sprinkling them on another food. Savi provides 8 grams of high quality, "complete" protein per ounce, more than chia and flax but hemp seeds still win first place in this department with over 10 grams per ounce. 5 grams of dietary fiber is certainly respectable but ounce per ounce, chia provides more than twice that amount with 10.6 grams. However, you are more likely to consume an ounce of savi than an ounce of chia seeds. * They are roasted, not raw. Chia, flax and hemp seeds are all available raw which is important since Omega 3 is very sensitive to heat. * They are very expensive! At retail, they cost $2.00 per ounce or 10 times the price of flaxseeds and 2 to 2 1/2 times the price of chia and hemp seeds. So as easy as they are to munch as a snack, at $2.00 per ounce, you probably won't be munching too many. * Oh Natural - roasted with a touch of sea salt. * Karmalized - lightly glazed in sugar cane. * Cocoa Kissed - covered with dark chocolate. When I opened the Oh Natural, I thought they smelled funky and rancid. They tasted a bit like peanuts but not nearly as good. I actually thought I got a bad package. The Karmalized tasted a bit like Cracker Jacks and a little better than the Oh Naturals but unfortunately contain 8 grams of sugar per ounce of seeds. The Coco Kissed ones masked the funky taste the most and were the most enjoyable. They are made with 70% cacao and cane sugar. They contain less sugar than the Karmalized but still 5 grams per ounce. Everyone has different tastes so you should give them a try if you feel inclined to do so. I probably won't buy them because I don't care for them. If you want 7 grams of omega 3, (the amount you would get from 1 ounce of Oh Natural savi seeds) drizzle 1 tablespoon of cold pressed flaxseed oil on your oatmeal. It's a lot cheaper! 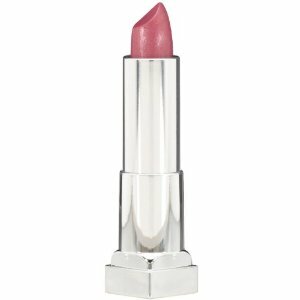 400 lipsticks tested by the FDA contained lead. 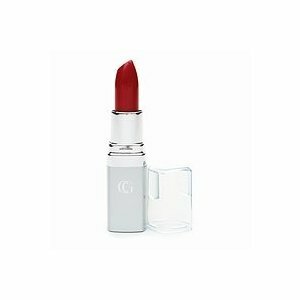 In October of 2007, the Campaign for Safe Cosmetics (CSC) reported finding lead in lipsticks. 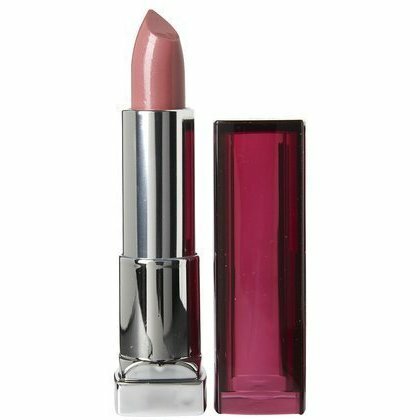 In the spring of 2010, the FDA conducted an expanded survey of lipsticks that included various price points, shades and manufacturers. 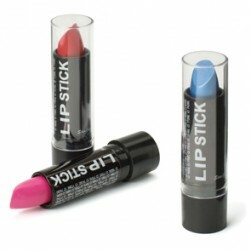 A total of 400 lipsticks were tested for their lead content. 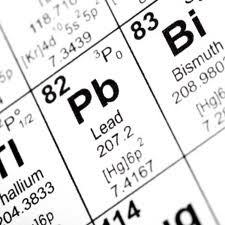 Lead was detected in all 400 samples with levels ranging from .026 parts per million (ppm) to 7.19 ppm. "Lipstick, as a product intended for topical use with limited absorption, is ingested only in very small quantities. We do not consider the lead levels we found in the lipsticks to be a safety concern. The lead levels we found are within the limits recommended by other public health authorities for lead in cosmetics, including lipstick." I don't know about you, but I lick my lips continually so I know I'm ingesting whatever product is on there. And I shutter to think about all the little girls who get into mommy's makeup drawer! Whether or not the FDA is alarmed, I think it's best to know what's in each of these brands and avoid the ones that contain the most lead. #1 Worst offender - Maybelline's Color Sensation in Pink Petal. #2 Offender - L'Oreal Colour Riche in Volcanic. Lead content of 7.0 ppm. 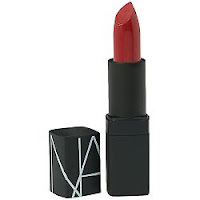 #3 Offender - NARS semi-matte in Red Lizard. Lead content of 4.93 ppm. #4 Offender - Cover Girl Queen Collection Vibrant Hues Color in Ruby Remix. Lead content of 4.92 ppm. 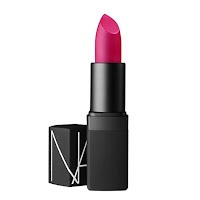 #5 Offender - NARS Semi-Matte in Funny Face. Lead content of 4.89 ppm. 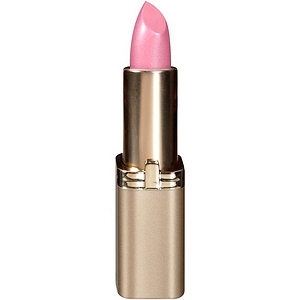 #6 Offender - L'Oreal Colour Rich in Tickled Pink. Lead content of 4.45 ppm. #7 Offender - L'Oreal Intensely Moisturizing Lipcolor in Heroic. Lead content of 4.41 ppm. #8 Offender - Cover Girl Continuous Color in Warm Brick. Lead content of 4.28 ppm. 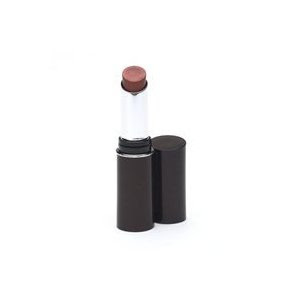 #9 Offender - Maybelline Color Sensation in Mauve Me. #10 Offender - Stargazer lipstick in shade 103. Being an engineer, I wanted to look at more data so I reviewed the top 100 offenders to see if there was a trend. There was! 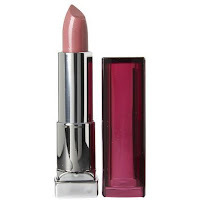 Over half of the top 100 lipsticks with lead levels ranging from 1.5 ppm to 7.19 ppm were produced by only 3 companies - Revlon (22%), Cover Girl (16%) and L'Oreal (10% as the L'Oreal brand and 6% as the Maybelline brand owned by L'Oreal). The remaining 46% was made up of 18 companies. Even Burts Bees had 2 offending products. Of the 400 tested, 20 lipsticks had levels lower than .1 ppm (the upper limit for lead in candy). 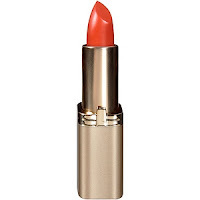 Half of the lipsticks with this very low level of lead were manufactured by Estée Lauder or companies owned by Estée Lauder (Bobbi Brown, Clinique and MAC). (1) Clinique's Almost Black Honey, (2) L'Oreal's Colour Juice Cherry on Top and (3) Wet'n Wild's Mega Mixers Lipbalm, Bahama Mama - all with lead levels less than 0.026. 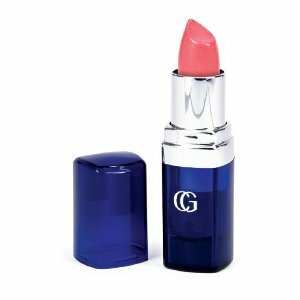 The best thing to do is look at the ENTIRE LIST OF 400 PRODUCTS TESTED to determine the safest lipstick to buy! Raw Vegan, Dairy And Gluten Free Chocolate Pudding - Perfectly Rich For Valentines Day! Serve this raw chocolate dessert for Valentine's Day! Raw desserts can be very rich and decadent. And while I wouldn't eat this every day, it makes a lovely Valentine's day dessert. A little goes a long way so serve it in a small ramekin with some fresh raspberries. This started out as the icing for the vegan chocolate cupcakes I posted yesterday. If you are making this for icing, you'll want to use a little less liquid and proportionally more coconut oil so it stiffens up better. As a pudding, I made it a bit softer and richer, by adding a touch of raw agave. Raw cashews, dates, agave nectar, cacao and coconut oil. Rinse cashews and drain well. Place in a Vitamix or other high speed blender. Drain dates but reserve soak water. Place dates, 1/4 cup of soak water, vanilla, cacao, agave nectar, stevia and coconut oil in the blender and process until very smooth, scraping down the sides and stirring frequently. Add a touch more soak water only if needed. This cannot be made with a regular blender and requires a high speed blender such as a Vitamix or Blendtec. Once smooth, place in 4 small ramekins or glasses and refrigerate. If refrigerating for more than a few hours, cover with plastic wrap. Serve with raspberries. Per serving: 317 calories, 19.5 g fat, 8.5 g saturated fat, 0 mg cholesterol, 5.5 g protein, 36.5 g carbohydrates and 4 g dietary fiber. Chocolate Vegan Cupcakes With Chocolate Cashew Icing - A Dessert For Your Valentine! vegan chocolate, chocolate chip cupcakes! We always eat at home on Valentines Day. Restaurants seem to up the price and slash the quality on this holiday so we like to plan a romantic menu and enjoy cooking together while sipping an extra nice bottle of champagne. I'm not yet sure of this year's menu but I am sure that it will include something chocolate. Cupcakes seem to be the big thing now so I decided to make some. I used the cake recipe I developed for the German Chocolate cake I posted a while back. For icing, I thought I'd try just adding cocoa to raw cashew cream. Most chocolate icings (vegan or not) use 2 cups of powdered sugar with butter or vegan margarine. Although I admit that they are a bit easier to make and set up stiffer, I just can't seem to bring myself to use that much sugar in a recipe. So this icing is made mostly from cashews and dates with some cocoa and a little coconut butter to give it some structure. I licked so much of it out of the bowl while making it, I decided that, with a little modification, I will post it separately as a raw vegan chocolate pudding! Rinse cashews and drain well. Place in a Vitamix or other high speed blender. Drain dates but save all the soak water. Place dates, 2 tablespoons of the soak water, vanilla, cocoa, stevia and coconut oil in the blender and process until very smooth, scraping down the sides and stirring frequently. Add another tablespoon of soak water only if needed. Once smooth, put in a small bowl and refrigerate for an hour or until it starts to stiffen. Be patient. The frosting will eventually be this smooth. Keep stirring and scraping down the sides. Preheat oven to 350 degrees F. Line muffin pan with 12 muffin paper cups. Make a flax egg by combining ground flaxseeds and water in a small bowl or cup. Beat with a small fork and set aside. Beat again from time to time until it becomes gooey. In a large bowl, mix flour, cocoa powder, baking soda, baking powder and salt. In a medium bowl, mix sugar, soy milk, applesauce , vanilla, olive oil and flax egg. Beat with an electric hand mixer until thoroughly combined. Add mixture to dry ingredients and beat with an electric hand mixer until well blended. Fold in chocolate chips. Divide batter into muffin cups and bake in a preheated oven for about 14 minutes or until you can insert a toothpick in the middle of the cupcake and it comes out clean. I like using an ice cream scooper to scoop the batter. Remove from oven, gently remove cupcakes and place on rack until completely cool. Cool completely on a rack before icing. When cool, ice with frosting. Decorate with 1/2 raspberry and chocolate sprinkles. Refrigerate for several hours. Per iced cupcake: 234.7 calories, 12.3 g fat, 4.2 g saturated fat, 0 mg cholesterol, 4.4 g protein, 30.3 g carbohydrates and 3.9 g dietary fiber. Having A Hard Time Sticking To Your Health & Fitness Goals? It May Be Time To Clean Your Emotional Pantry. Dr. Rouse Tells Us How! 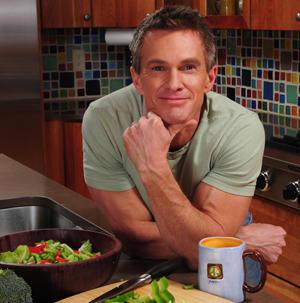 Dr. James Rouse - Naturopathic doctor, Ironman, yoga instructor and talk show host. As we cruise into the second month of the year, trying to hang onto the promises we made to ourselves in January, we may be wondering why it's all so difficult. - Difficult to eat the right foods and stick to our diet plans. - Difficult to exercise as much as we want and need to. - Difficult to be everything we know we can be. Is something holding us back? The other day I read an article by Dr. James Rouse that may explain it. In his article, "re-set-sational", he talks about the need to "clean up our emotional pantry" to facilitate achieving our good intentions to promote optimum health. This created quite a visual for me. In our last home in San Jose, we had a large walk-in pantry. Through the years many things found their way in there. When we moved there were cans of vegetables that should have been tossed out years ago along with a collection of mismatched napkins, an assortment of old paper plates, expired vitamins, missing candle sticks and mementos from vacations past. If we could look at our "emotional pantries", what would we find? Are there issues we are holding onto that should have been tossed out years ago? Are they holding us back from moving forward and being the best we can be? Who's in favor of a do-over, a mulligan, a second, fourth, or twelfth chance? This is our time. We are collectively and consciously poised to begin again our quest for greatness. Take a stand for every dream, desire, intention, and creative big idea and get after it! It's time to reset your life and live the divine expression that you are! You may be setting an intention to release weight in support of your lightness and vitality. Along with eating healthier and being more consistent with exercise, it is important to clean up your emotional pantry. The Public Health Institute in California confirmed that holding onto hostility and resentment can tear down the immune system and increase the risk for heart disease, cancer, and diabetes. In resistance training, with each push-up, bicep curl, or press, envision the past hurt being moved away; "see" your strength and peace increase and the past fade smaller with each exhalation. Forgiving yourself allows for inspired energy to ignite and move forward. Duke University researchers concluded that forgiveness acts as an elixir to the immune system and a powerful stress-reducing tonic. It may also help with lowering chronic pain levels. Forgiveness means “to give ahead of time.” Be the first to accept your divine humanness. Claim a resolution to be lighter through letting go, affirming in prayer, and demonstrating your creative healing in action. Begin this moment to think impeccably. Create an exceptional livelihood for yourself and show it off to the world around you. We all love to emulate passion. Eat with intention, with the mission to nourish your mind and body so you can transcend the cultural trance of physiological mediocrity. To become more alive, you must dance, jump, skip, and push your body/mind to new edges with sweat and smiles - daily. This is your time. You are the one. Get up, stand up, and put on your radiant wellness! Dr. James Rouse is a naturopathic physician with extensive credentials in the wellness field, including post doctorate work in acupuncture and Chinese medicine, transpersonal psychology, and certification as a yoga teacher. This article was originally printed in the January, 2012 issue of Science of Mind Magazine , A Guide for Spiritual Living. Make this healthy version of 7 layer dip on Superbowl Sunday! What's a Superbowl without 7 layer bean dip? Surprisingly, this can be quite a nourishing dish. 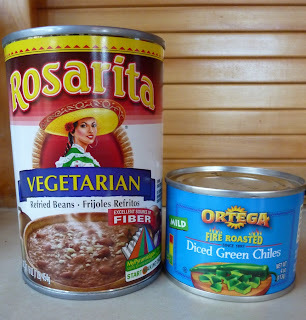 * Start with vegetarian refried beans. They are low in fat and high in fiber and protein. Make them more flavorful by mixing them with diced fire roasted chiles. 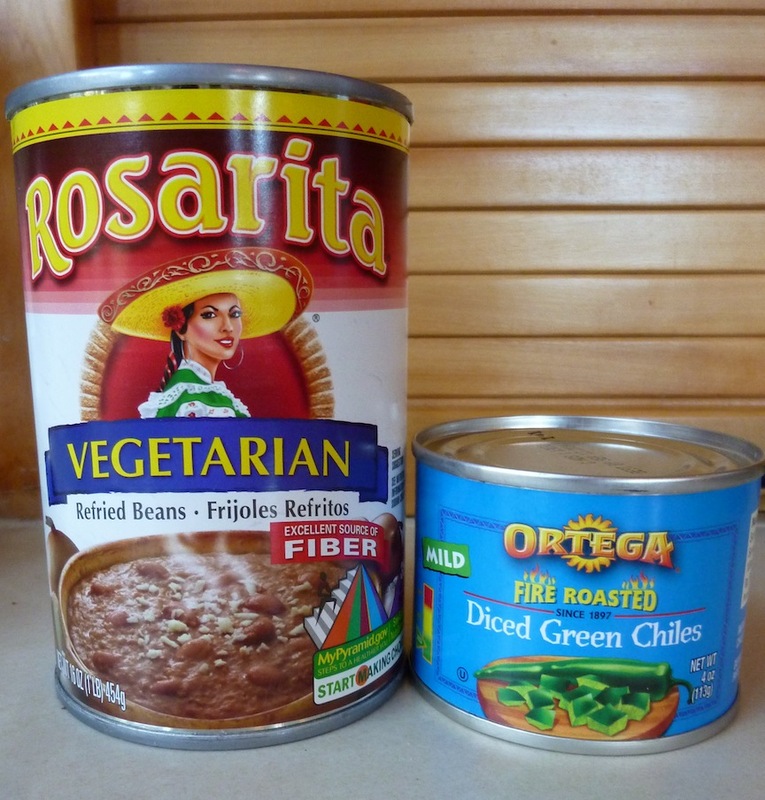 Vegetarian refried beans are not made with lard. * Make your own guacamole with a few simple ingredients - no fillers. The healthy fats in avocados promote the absorption of fat-soluble nutrients like beta-carotene, lycopene and lutein that are in the other ingredients. It's easy to make your own guacamole. * Tomato salsa is low in calories and packed with antioxidant rich lycopene, vitamins A, C, K, molybdenum, manganese and potassium. This is where you'll get your heat so select mild, medium or hot depending on your taste. * Instead of sour cream, try dairy and gluten free Tofutti. But use it sparingly to avoid adding unnecessary calories to the dip. Also check the package to make sure it has zero transfat. The ones in Whole Foods had no transfat but the ones in Safeway had slightly different packaging and contained some transfat. I can't imagine why! Tofutti is my favorite sour cream substitute. 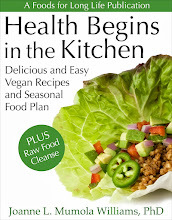 * Try topping the salad with taco meat made from heart healthy walnuts. Make heart healthy taco meat by grinding walnuts with chili powder and GF soy sauce or Bragg's! * Instead of cheddar cheese or fake vegan cheddar, grate some carrots on top. They look like cheese and you'll never miss the fat and calories. Plus, you'll get a good dose of beta-carotene and lutein - antioxidants that are good for eye heath. * Select healthy chips that are gluten free and made with whole grains. Better yet, serve slices of bell pepper or jicama to scoop up the dip. There are many healthier chips on the market these days but serving sliced veggies is an even better option. Warm refried beans and fire roasted green chiles in a non-stick fry pan on low heat. Mix in cumin and garlic until well blended. Remove from heat and set aside. Heat and mix beans and chiles with spices. No oil needed. To make the guacamole, mash avocados in a small bowl until fairly smooth. Stir in onion, cilantro, lime juice, salt and cayenne. Set aside. To make the taco meat, place walnuts, chili powder and GF soy sauce in a food processor fitted with an S blade. 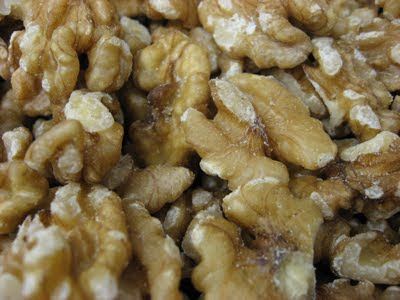 Process briefly until the walnuts look like taco meat. Set aside. You can assemble the dip on a flat plate or in a glass pie pan. If people will be sitting on the couch watching the game, you can make it in individual ramekins so people aren't leaning over and dripping this colorful dip on your carpet. Start by spreading the bean dip on the bottom layer. Next, spread the guacamole on top of the bean dip. Top the guacamole with salsa. Layer the ingredients in whatever order you desire. I layer to optimize the contrast of colors. Stir the Tofutti sour cream with a spoon until it becomes more spreadable and drizzle over the salsa. Sprinkle the taco meat and shredded carrot over the Tofutti and top with cilantro, red and green onion. Serve with chips or a vegetable crudité. Enjoy with healthy chips or scoop it up with slices of bell pepper, jicama or other veggie slices. Per serving (without chips): 179.8 calories, 10.4 g fat, 1.9 g saturated fat, 0.8 g ALA omega-3 and 3.3 g omega-6 fatty acids, 0 mg cholesterol, 5.1 g protein, 17.4 g carbohydrates, 4.8 g dietary fiber and 538 mg sodium.